This year’s Kansas City Homes & Gardens Home of the Year Grand Winner is a beautiful Arts and Crafts style home with Asian influences and, yes, plenty of eye-catching woodwork. Situated on 20 acres, the homeowners had a vision to turn an old barn into a permanent residence. After overcoming some structural challenges due to the lay of the land, a strong foundation was built for a dream home. 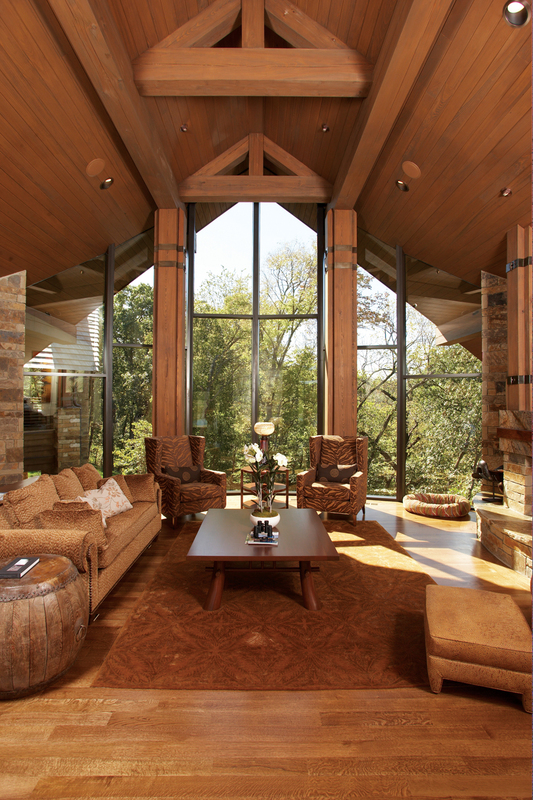 The interiors were lovingly transformed into a unique livable space that is in harmony with the natural environment. The connection with nature is reinforced by the home’s rustic timber framing and the use of natural materials such as stone and wood throughout the interior. The project team included architect Bickford + Co., builder Cornelius Homes, and interior designer Kyle Weinstock, and was recognized as the Home of the Year competition’s Grand Winner. Visit Schutte Lumber for all your home building, remodeling, and craft project supplies.